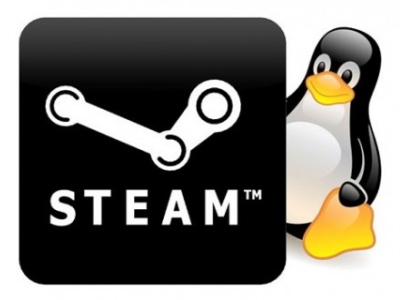 ProtonDB has announced that over 2,600 Windows games are now playable on Linux via Steam Play. These include games such as The Witcher 3, Dark Souls 3, Dishonored, and more. This increase in game compatibility ever since Steam Play launched with Proton last month is an indication of Valve's commitment to making Windows games easily accessible to Linux users. Back in August this year, during Gamescom, Valve announced a new version of Steam Play that supported Proton. Proton is a WINE fork that provides support for running DirectX 11 games on Linux with minimal performance hit. Fast forward to today, ProtonDB, the website that collates reports from Proton users on Linux, reports that about 2,663 Windows games are working great under Linux including some of the newer titles such as The Witcher 3, No Man's Sky, Dark Souls III, Dishonored, and more. This achievement in a span of just two months is pretty significant. Steam currently offers around 5,000 Linux native games so being able to run more than half the number of Windows games via Proton should be a shot in the arm for the Linux gaming community. If this momentum continues, we might see Proton-powered Windows games on Linux overtaking native Linux games soon enough. So how did Proton achieve near-native gameplay for Windows games on Linux? Proton uses WINE to create a compatibility layer for Windows apps and DXVK to translate DirectX calls to Vulkan. As long as the game does not implement any DRM, direct translation of DirectX 11 calls to Vulkan should not pose much of a problem. The performance hit is also in the 10-20% range and as Proton continues to develop, we will see this gap getting narrower. Valve has always been a huge proponent of Linux gaming. The company's chief, Gabe Newell, and Epic Games' Tim Sweeny have been extremely vocal in their dissent about Microsoft's plans for Universal Windows Platform (UWP) apps and how this could stagnate distribution via third-party stores. Emulating Windows games on Linux would get complicated when developers eventually take to UWP and the Microsoft Store as a distribution platform of choice. So far, UWP doesn't really seem to have had the impact that Microsoft anticipated and Newell feared, so all is well for now and we should be seeing more AAA titles grace the Linux desktop next year.